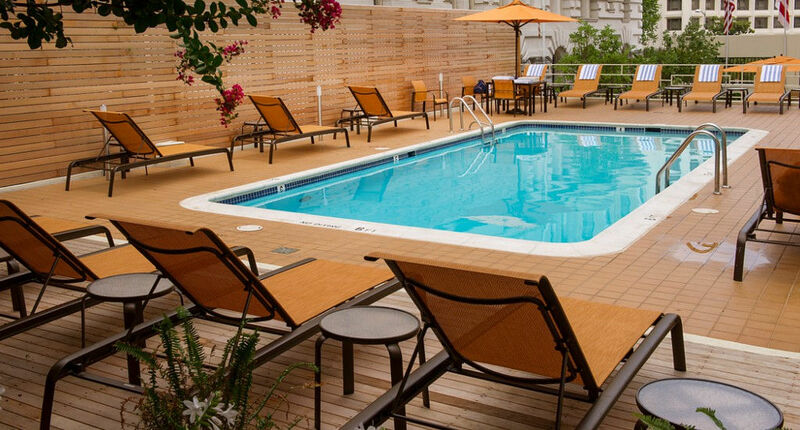 When you’re traveling in the summer to a hot place like Washington DC, it’s nice to have a cool pool to relax in after a day of touring. 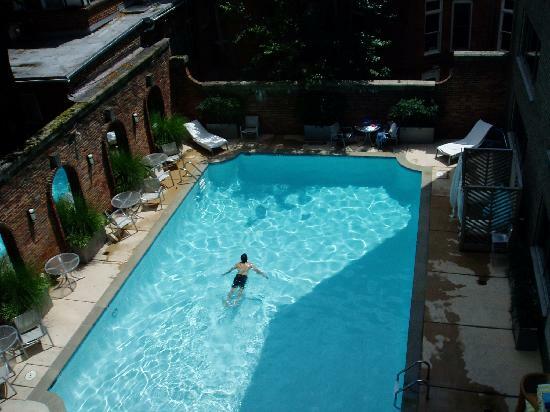 Here’s my list of some of the Best DC hotel Swimming Pools (Indoor and/or Outdoor)—many are on the rooftop with gorgeous views of the city, including our newest DC rooftop pool at The Wharf! 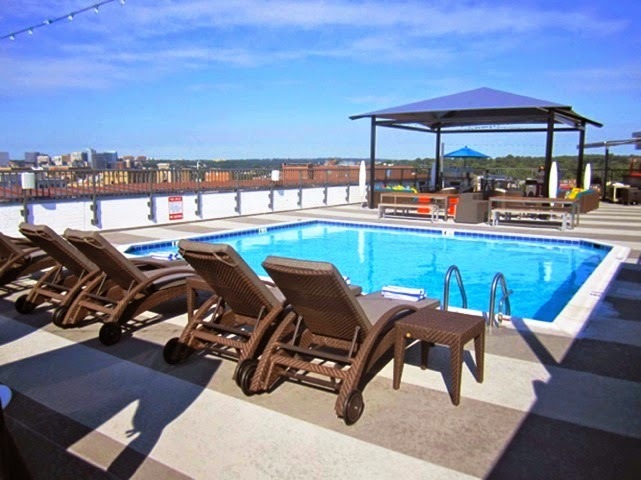 Set at the heart of D.C.’s Wharf neighborhood, the InterContinental Washington D.C. – The Wharf is located right on the Potomac River and offers sweeping views of the river from its restaurant, guest rooms and of course, its rooftop pool and bar. 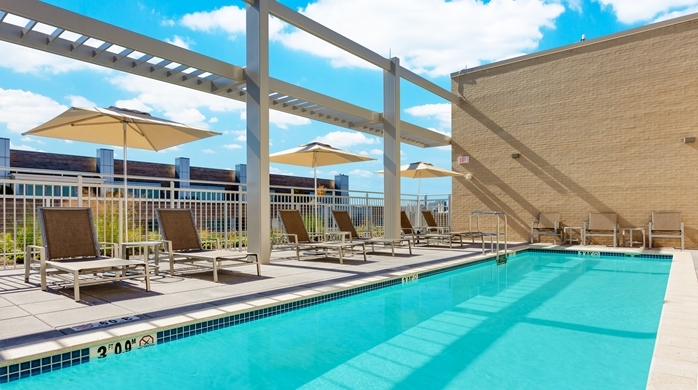 The rooftop is brand new for this summer and in honor of its first season, access is limited to hotel guests only, so it will never feel too crowded. Wave, the rooftop’s full-service bar & restaurant, offers scenic snacks with seasonal cocktails including margaritas, mojitos and mules. The rooftop space is the place for entertaining views of The Wharf, which has a mile of upscale restaurants, unique entertainment, and interactive public parks. The InterContinental Washington D.C. at The Wharf is an ideal destination from which to explore the Nation’s Capital.